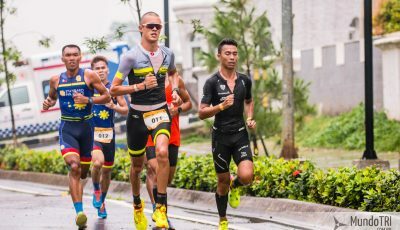 Thomas Bruins Of The Netherlands Takes Coveted Asia Title Again. 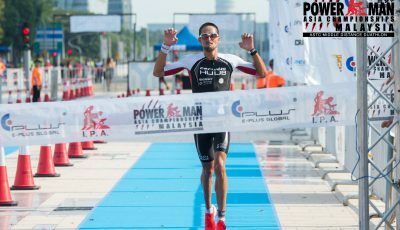 PUTRAJAYA MALAYSIA, 4 MARCH 2018 – This year’s edition of the world’s largestcompetitive duathlon, the Powerman Asia Duathlon vo a close with a total of 3,756 top elite duathletes, multi-sport athletes and enthusiasts from 41 countries running and cycling their hearts out. 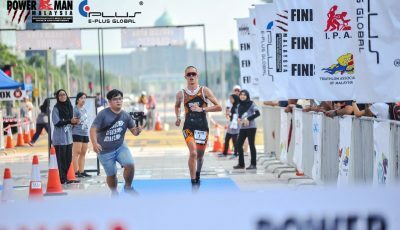 Defending champion from The Netherlands, Thomas Bruins made it three consecutive titles in the Male Elite Category and first-timer to Malaysia, Anna Eberhardt-Halasz from Hungary took the Female Elite Category crown. 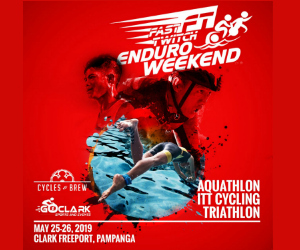 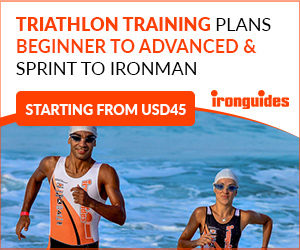 The Powerman Asia Duathlon Championships – Malaysia 2018 is promoted and organised by E-Plus Global Sdn Bhd, sanctioned by the International Powerman Association, the Asian Triathlon Confederation and the Triathlon Association of Malaysia.